The joys of motherhood. First you get the excitement of finding out you are pregnant, then some of us become slightly uncomfortable as we grow into a “balloon” and after 9 months, lo and behold, you have the most precious gift, wrapped up in a bundle and you discover the joys of motherhood. I am the proud mother of a gorgeous boy, and I have been meaning to write a post about dressing as a yummy mummy for a while. After styling a beautiful mother-to-be on the weekend and then seeing beautiful pictures of Dolce & Gabanna’s latest Fall/ Winter 2015 collection shown in Milan earlier this week, an ode to mothers titled ‘Mamma’, I decided I’d like to impart my own tips on how to dress like a yummy mummy. When I was pregnant (over four years ago) there weren’t many choices for maternity wear available in Australia, now there are more maternity sections available in certain brands, some department stores have maternity sections and there are plenty of stores selling maternity-wear online. But before you go out and spend a lot of money on maternity wear I’d advise you to look at purchasing the following few staple items and invest in pieces that you can wear both pre and post baby. Many brands, including Just Jeans (http://www.justjeans.com.au/shop/en/justjeans/maternity & J Brand http://www.jbrandjeans.com/womens_maternity) have great maternity jeans selection. They look great and don’t even look ‘maternity’ and you can wear them also post baby while you’re still adapting to your new body shape. Loose dresses that you can feel comfortable in (and gives room for bump to grow) and you can still wear post baby (just add a belt to add definition to your waist once you’ve lost your pregnancy bump). e.g. maxi dresses, wrap around dresses, dresses and skirts with elasticated waist. Loose/ flowy tops, wrap tops, button tops are great (& you can wear later post-natal when breast feeding). Leggings or jeggings – they will stretch as your tummy grows (and can be worn under dresses for winter) – Country Road, Witchery, French Connection have a good selection of Jeggings. If you’re not into the leggings/ jeggings look, there are also a great section of pants with elasticated waist in these stores. Comfortable (flat) shoes. If you want to wear heels, wear wedge heels for more support. 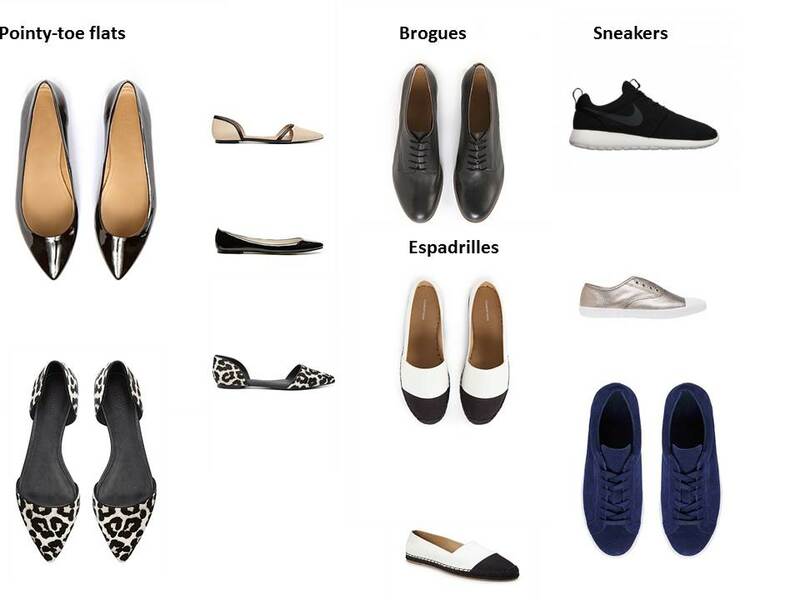 Ballet flats, pointy-toe flats, brogues & sneakers are great choices. I invested on a good pair of Nike sneakers and wore them with everything (comfort is everything, especially when you’re carrying a lot of weight towards the end of your pregnancy). 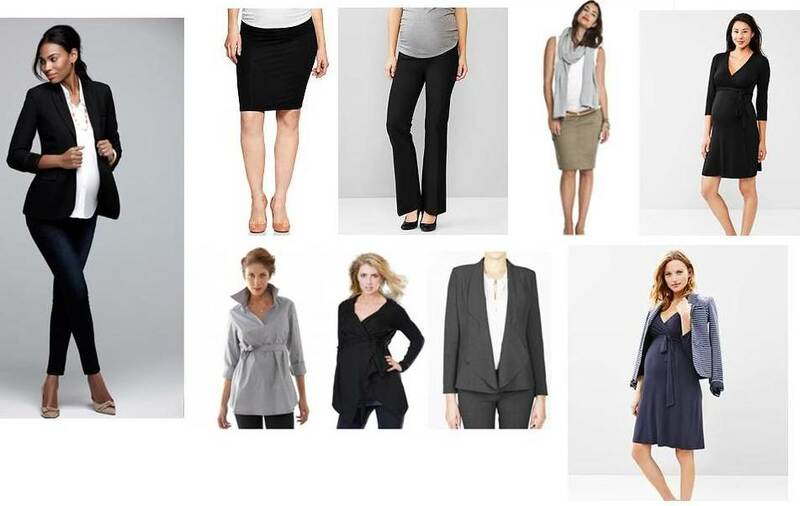 For those of you who are working in a corporate office whilst going through pregnancy, invest in one or two maternity trousers or skirt and where possible wear a dress with a smart work jacket on top. Above – Wear a jacket over your maternity / stretch pants, maternity skirt/ pants, wrap dresses, wrap tops and jackets that can be worn over your pants, dress or skirt (Gap, Target, Asos and a range of brands and online maternity (http://www.queenbee.com.au) offer a good range of maternity wear). It is probably a bad idea to include photos of my large pregnant self after those gorgeous celebrity & model pictures, but thought I’d share ‘real’ and non-celebrity photos, and that none of the following dresses I wore during pregnancy were ‘maternity’ dresses, just dresses that were comfortable and allowed room for me to grow during pregnancy and I can still wear those post baby today. 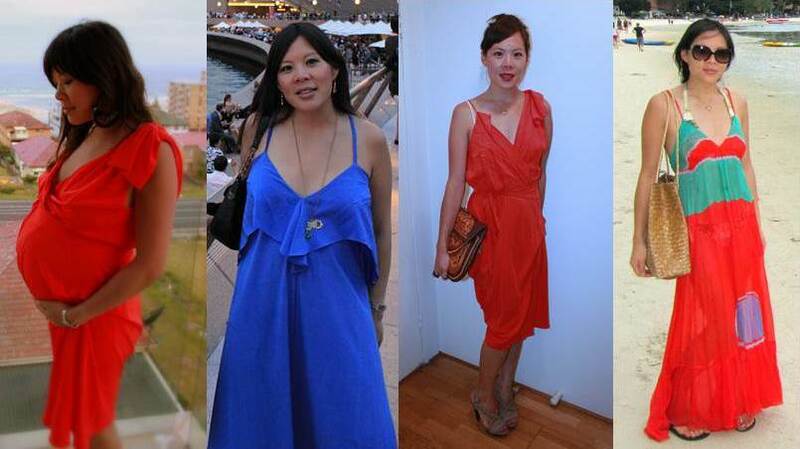 From left – Manning Cartel wrap dress worn at 7 months pregnancy, at 8 months Seduce blue maxi dress. Post pregnancy – the same wrap dress, a Diane Von Fustenberg Maxi dress I had previously worn up to 8 months pregnant and a Vanessa Bruno dress (with elasticated waist) I wore in the earlier months of pregnancy. Another tip – as you progress through your pregnancy and get larger, it is best to stick to block colours and avoid bold prints as these will only make you look bigger. I did borrow one or two of my sister’s maternity dresses (Gap have a great maternity wrap dress range http://www.gap.com/products/maternity-clothing.jsp and even Target have a reasonably priced range), but just don’t invest in too many (as you can see you can make do with roomy dresses you can still wear later). Invest in a few button down shirts and dresses for breastfeeding. Wrap around tops & dresses are great too. Above: Button dresses from our favourite Australian Brands from Country, Marcs, Witchery to Willow (prices ranging from $149 – Witchery to $495 Willow denim dress). Button down & wrap tops from Country Road, Seed, Marcs & Witchery. Invest in at least one breast feeding singlet (Bonds have a great range) you can wear under button tops. For those of you breastfeeding, invest on a few maternity bras (make sure you get a proper bra-fitting). I was amazed at the range of maternity bras available, from everyday brands (including Bonds, Lovable to Triumph) to pretty lacy bras (Elle McPherson has a beautiful maternity bra range). A good pair of jeans, tights or printed pants are great – “they hide grubby finger stains from the kids or you can wipe them off with baby wipes” (@theStyleDr). A good flowy dress or skirt for the Aussie Spring Summer & even autumn days – boho chic is back this season! Left: Miranda Kerr in a boho chic dress, Michelle Williams in a printed shift dress, Miranda Kerr in a printed skirt and Gwen Steffani in a long printed dress. Great overcoats worn by Miranda Kerr, Jessica Alba, Katie Holmes, Heidi Klum wearing a leopard cardigan. Second row: Gwen steffani in leather jacket and jeans, Jessica Alba in printed pants, Nicole Richie in leather jacket and jeans, and amazing Angelina Jolie in Jeans, sweater and flat boots. 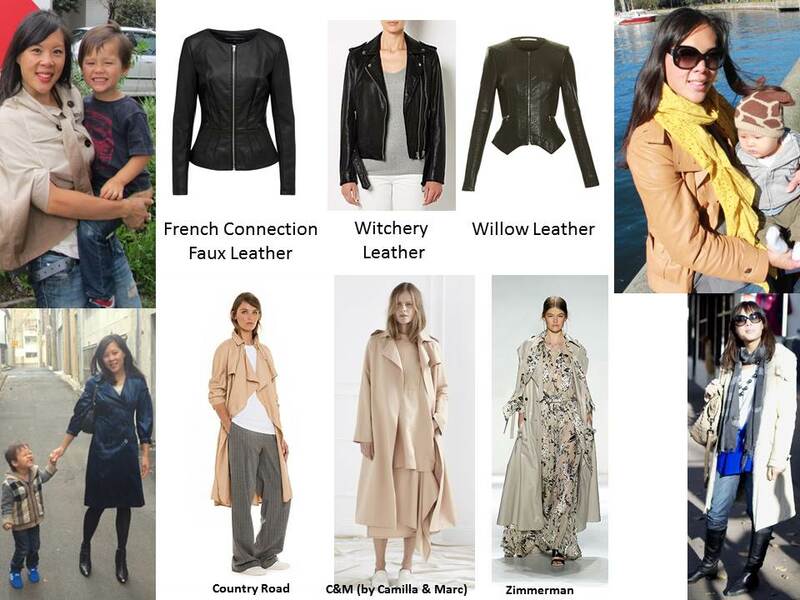 Get the leather look – from French Connection Faux Leather ($150), to Witchery leather ($599.95 to Willow leather ($995). Jadorais wears Burberry cape, blue trench, leather jacket & shearling coat. Trenches – Country Road ($229), C&M by Camilla and Marc ($349), Zimmermann ($1950). Cardigans are great to throw on anything (you might need a good cardigan to throw on at night too whilst breastfeeding!). 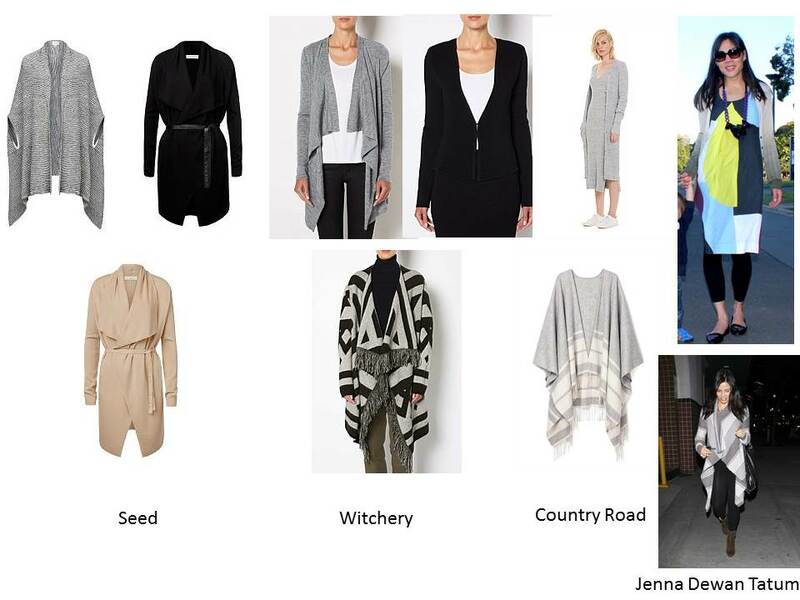 Seed, Witchery & Country Road have a great range of cardigans & ‘coatigans’. Jadorais wears a Burberry cardigan over dress, leggings & flats. Jenna Dewan Tatum in a great Coatigan. 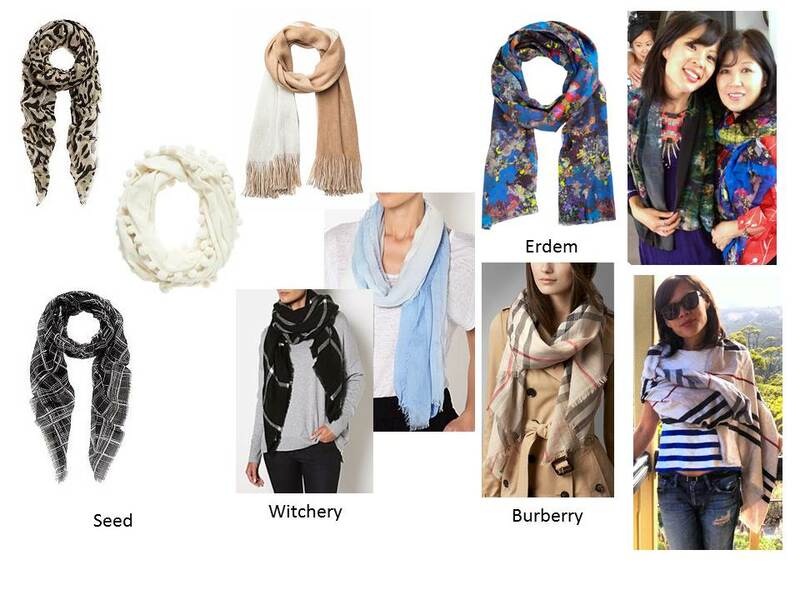 Seed, Witchery have great range of scarves starting from $49.95, and if you would like to invest in a classic staple, nothing beats the classic Burberry check print (as worn by Jadorais below) or a floral Erdem print (as worn by my beautiful mum & I – gifts from my lovely sister Janice from London). “As much as we love high heels they just don’t mix with chasing kids around at the park, so invest in a couple of good flat shoes” (theStyleDr). Style tip from the TheStyleDr – have a great hat in the wardrobe! 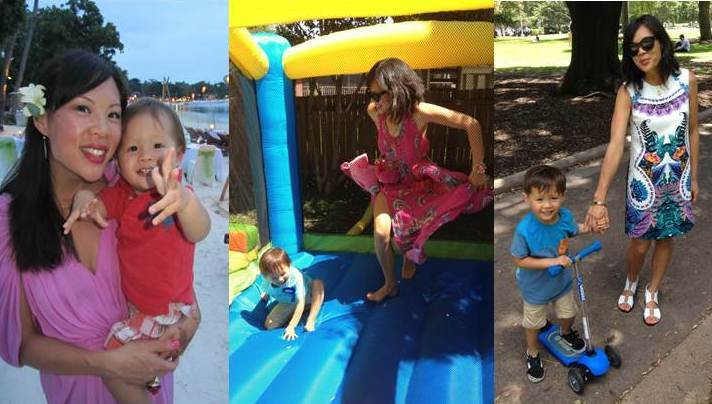 You will be outside a lot with your kid(s) so it not only keeps the sun off but it hides dirty hair when you have had no time to wash and blow-dry. 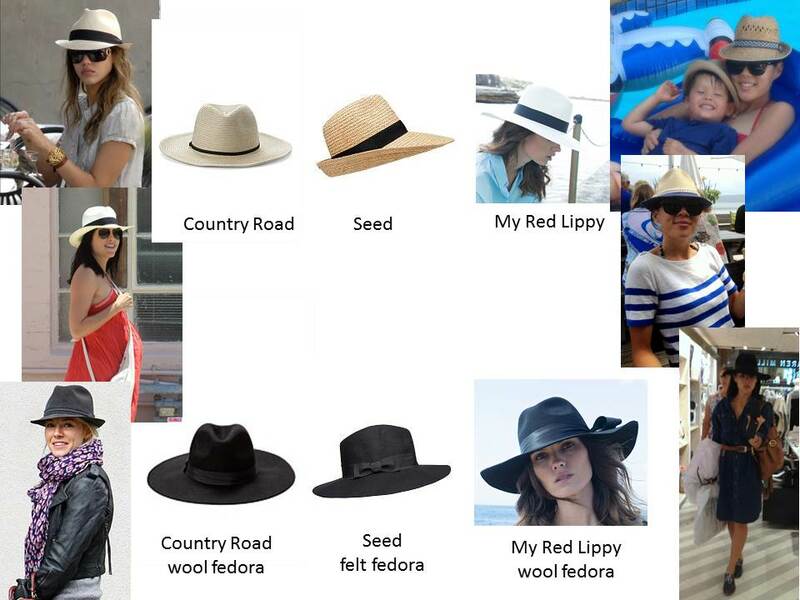 Country Road, Seed have a great selection of straw hats and fedoras starting from $50 and if you like to invest in a good hat, My Red Lippy has a lovely range starting at $250. Jadorais wears a sportscraft nautical hat and a Country Road wool fedora. SUNGLASSES!! Yes, very important. Particularly as we know in the early days of motherhood our little bundles of joy have one (or more 😉 sleepless nights, so invest on a nice pair of sunglasses to hide those bags under your eyes. Follow Jadorais for more style inspirations. Next week I’ll be posting about interpreting the latest trends and key pieces to invest in your wardrobe for the coming season. Source: some styling tips from @theStyleDr and of course, my beautiful and ever so stylish sister and mother of two gorgeous kids @brigadeirochoc always gave me advice & inspiration.